If you have enjoyed The Benka Borodovsky Bordello Band or The Jews Brothers, then The Klezmer Rebs will be to your taste…. It’s thigh-slapping music that is likely to be returning to a Botanic Garden concert near you. 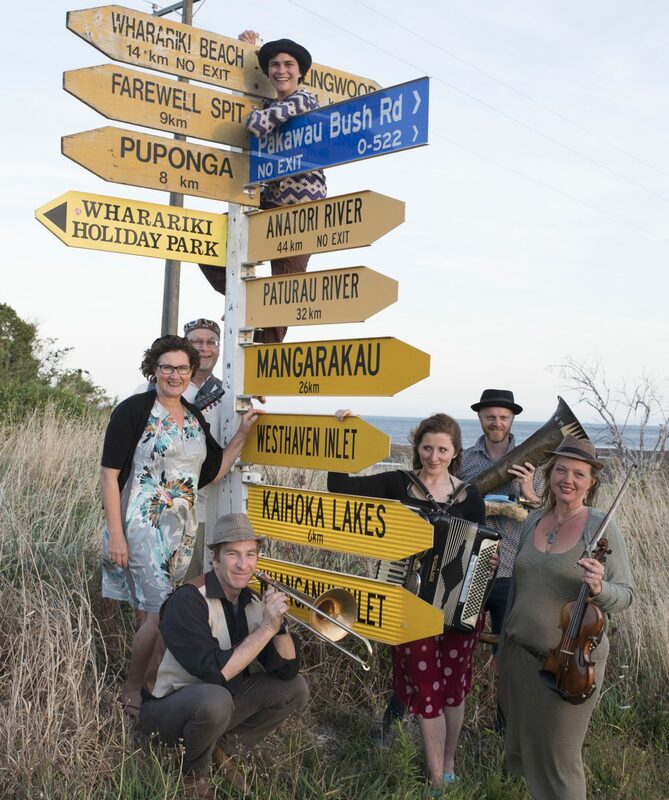 This Wellington octet can let their hair down and swing Jewish wedding music with energetic solos just where it matters on clarinet, violin and trumpet, with spontaneous lead singing to match. Clarinet solos are wildly creative in their Russian-flavoured Ochi Chorniye. There are some crackers when they leave traditional klezmer and write their own, especially the opening Kumt Kumt Chaverim, with its catchy refrains gyrating tonally between E minor and B flat major. The Rebs offer genuine in-style klezmer sonority, played with bubbling festivity. You can get Just Add Shmaltz in fine music shops now. This photo was taken at The CD & DVD Store at Wellington Airport. Yeah, that’s us right next to Fat Freddy’s Drop! If your favourite shop doesn’t have a copy, ask them to order through Ode Records. 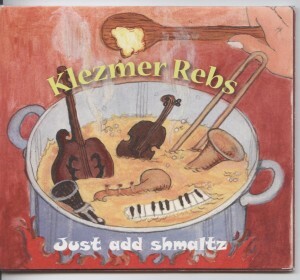 Klezmer Rebs ethnic music band – on sale now!